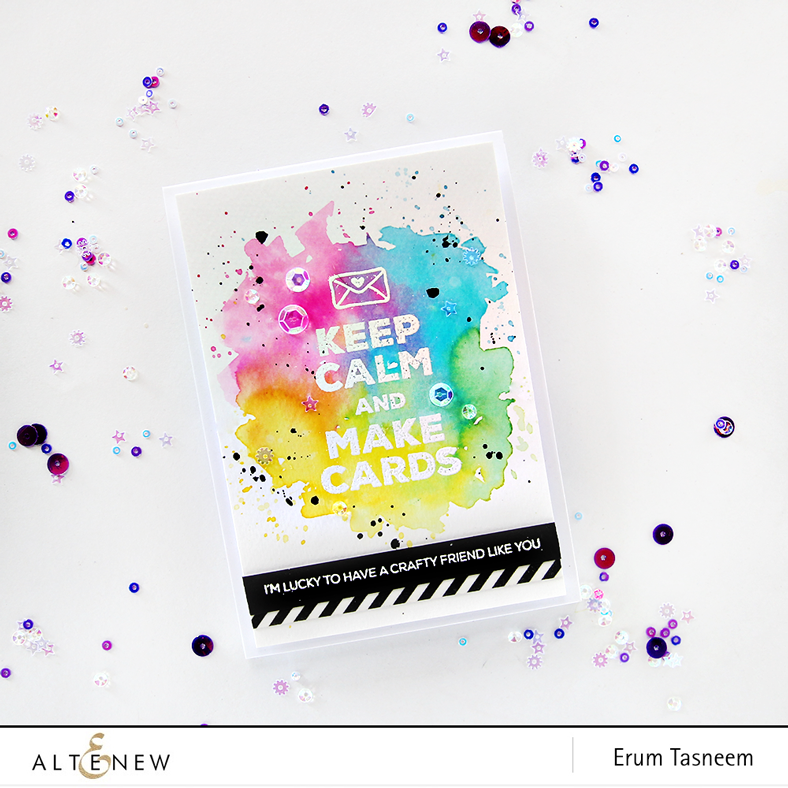 I have a new Stamp Focus post over at the Altenew blog. 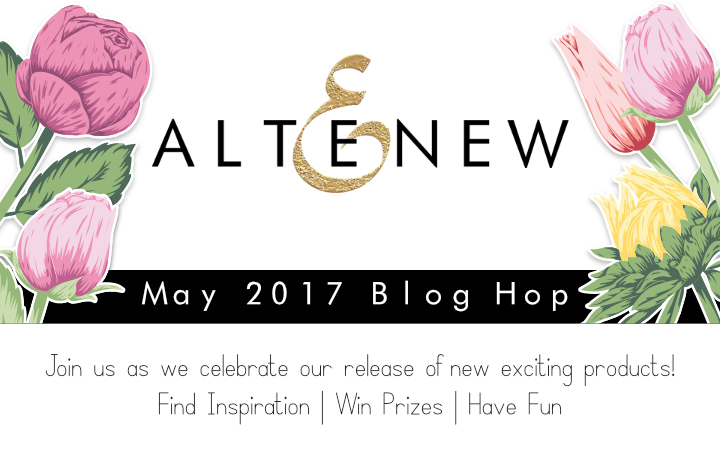 Welcome to Altenew's May 07 release. You must be here from Flora Monika Farkas blog. 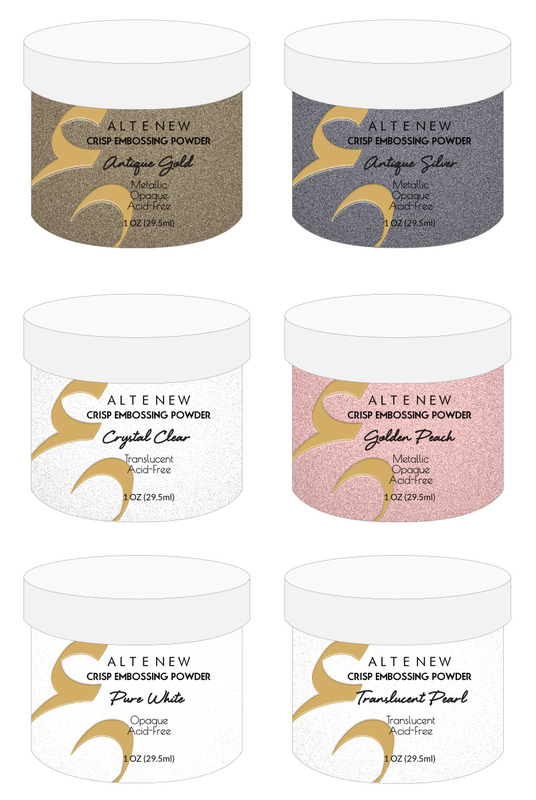 Apart from the stamps and dies, Altenew will be releasing SIX shades of embossing powders! Lets get on with the projects. 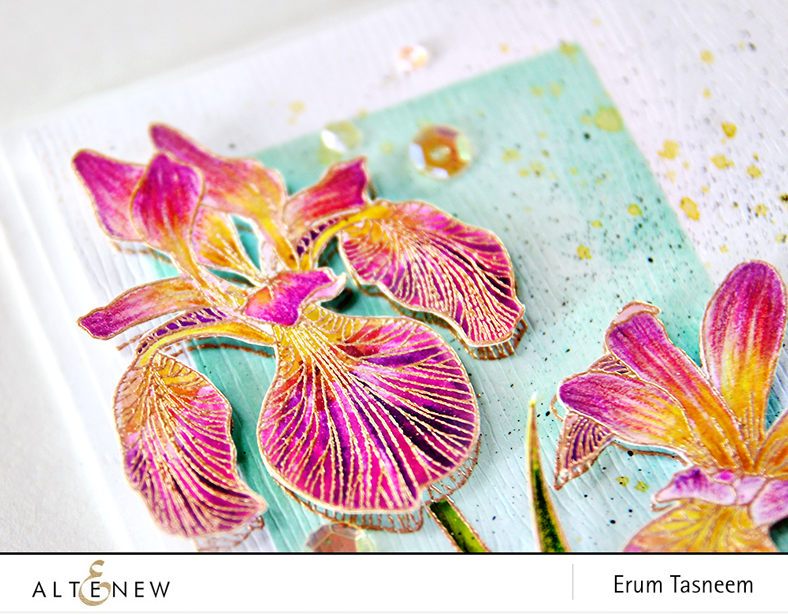 First card using the Enchanted Iris Stamp Set. I have used Woodgrain White cardstock for my card front. 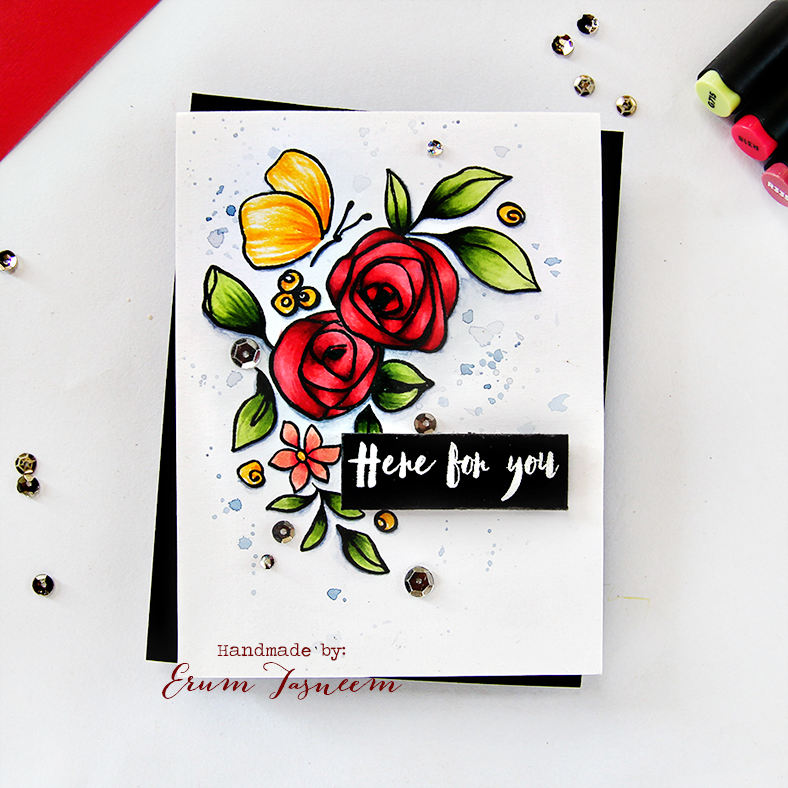 I stamped the flowers and leaves with Versamark and used the new and gorgeous Golden Peach embossing powder to heat emboss them. 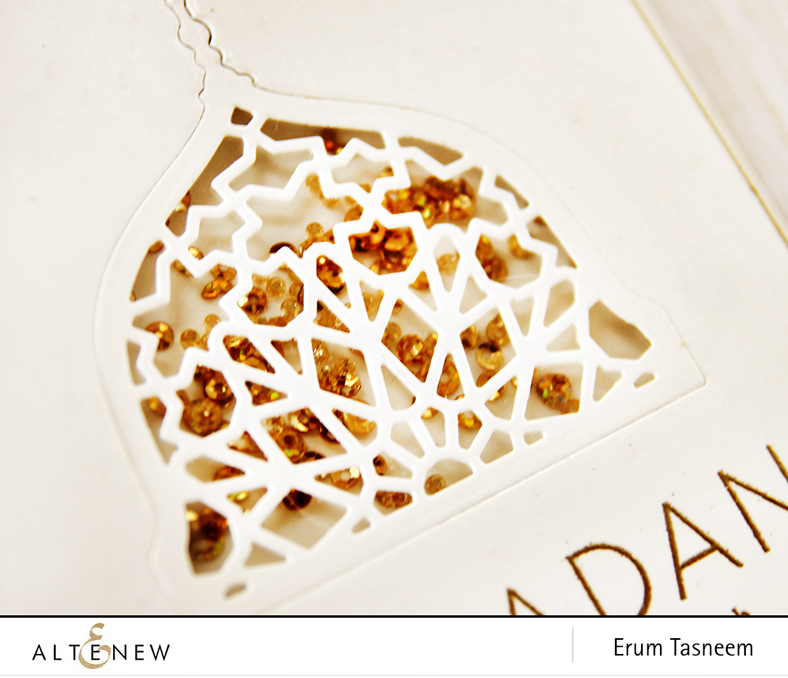 You have to see this in real life, the embossing powder is gorgeous! It has a peach tinted sheen. 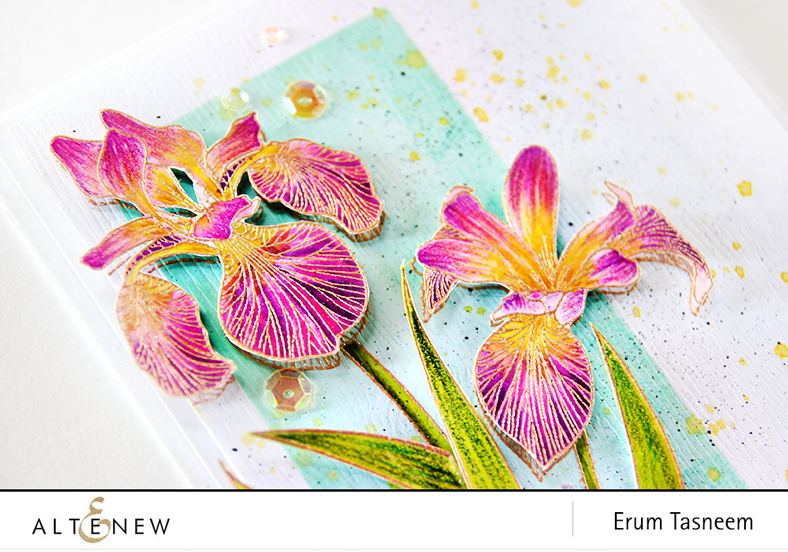 I used Altenew Crisp Inks in Warm Sunshine, Puffy Heart, Purple Wine, Cosmic Berry, Deep Iris and Midnight Violet as my watercolours for the flowers. I also added some hard lines with colour pencils. The leaves were watercoloured with Bamboo, Parrot and Moss Crisp Inks. The panel that the flowers are placed on is inked using Mountain Mist Crisp Ink. 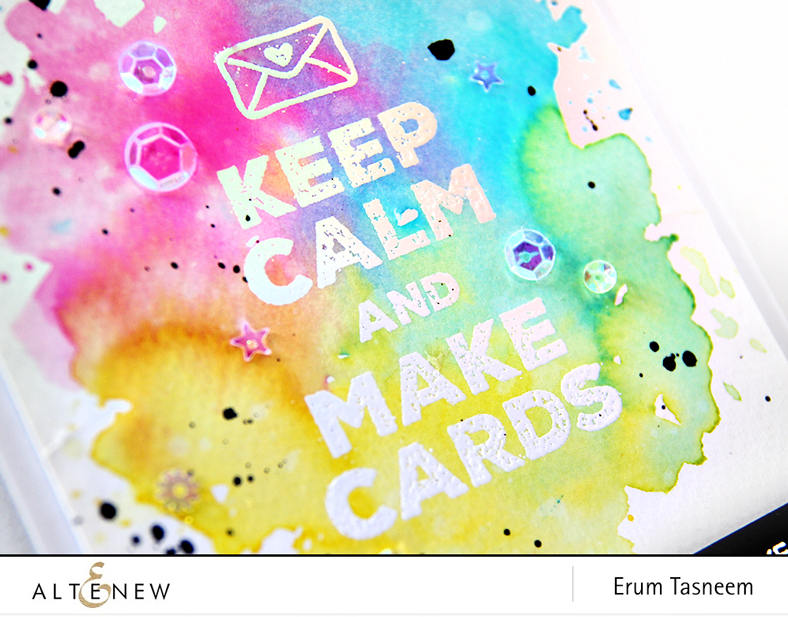 I have used Warm Sunshine Crisp Ink as watercolour to add splatters to my background. 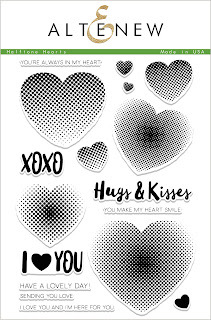 On to the next card, this one uses Halftone Hearts. 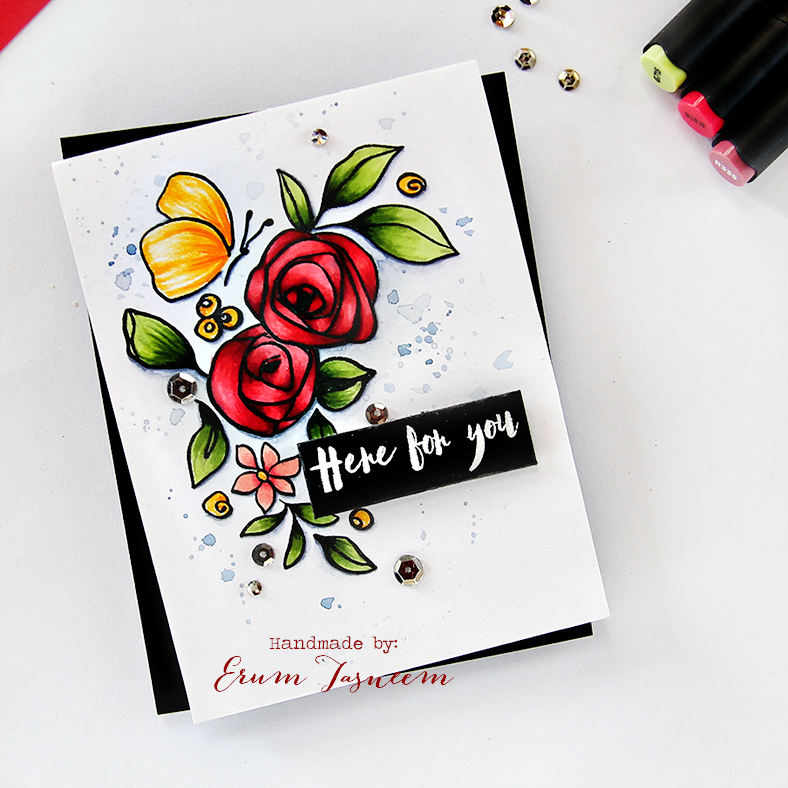 This is such a simple card and it came together so quickly! 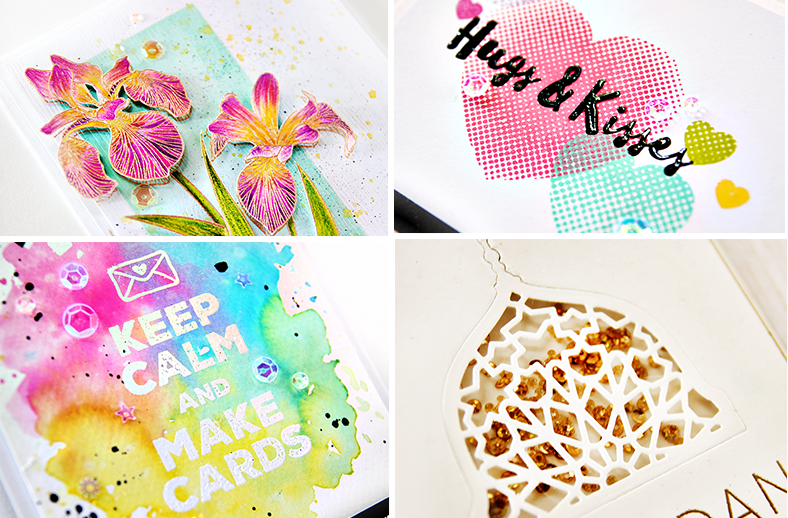 I stamped different sizes of hearts using Purple Wine, Lavender Fields, Autumn Blaze, Coral Berry, Volcano Lake, Parrot and Warm Sun Shine Crisp Inks. 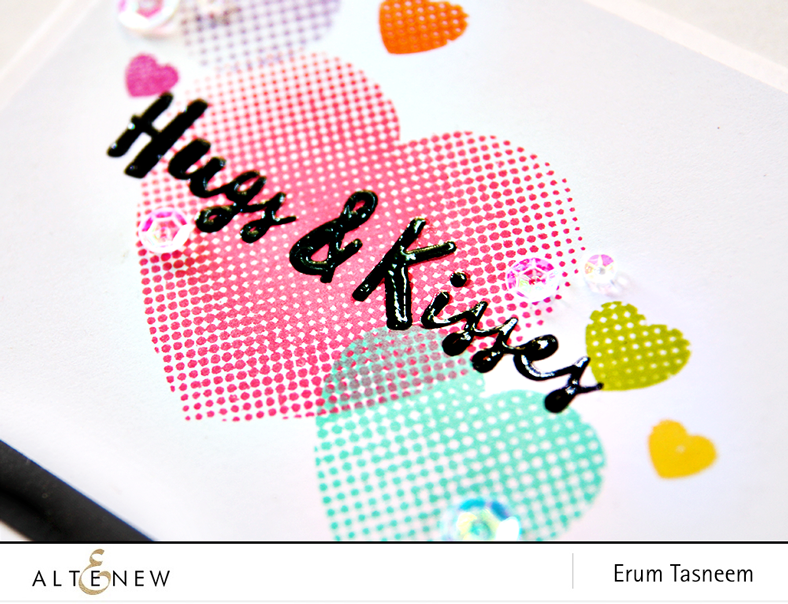 I stamped the "Hugs & Kisses" directly over the hearts and then added a bit of glossy accent on it. LOOK at the number of AWESOME sentiments on this one!!! 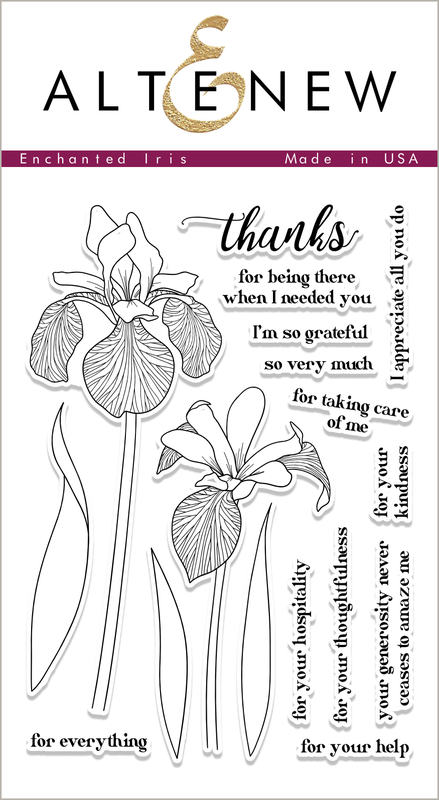 I heat embossed one of the larger sentiments using Pure White Crisp Embossing Powder. 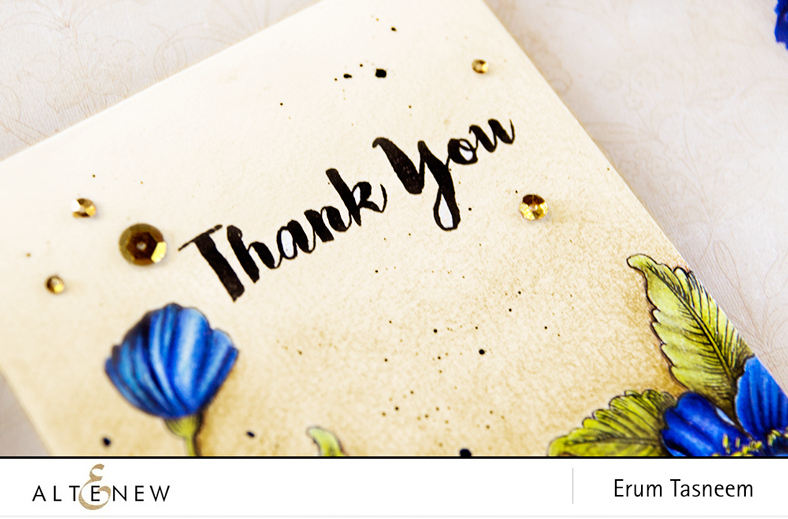 I masked off the floral design on the stamp and replaced it with the cute envelope stamp. I watercoloured my background with Distress Stains using four colours, Picked Raspberry, Peacock Feathers, Squeezed Lemon and a bit of Mustard Seed. 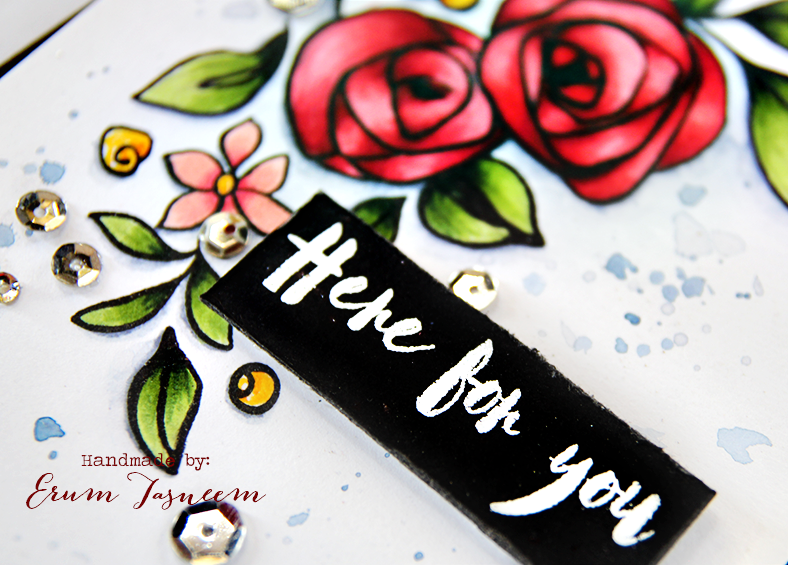 I heat embossed another sentiment on a strip of black cardstock, layered it over some black and white washi tape and popped it on my card front. Now on to my last card for today featuring the Mosaic Dome die set. 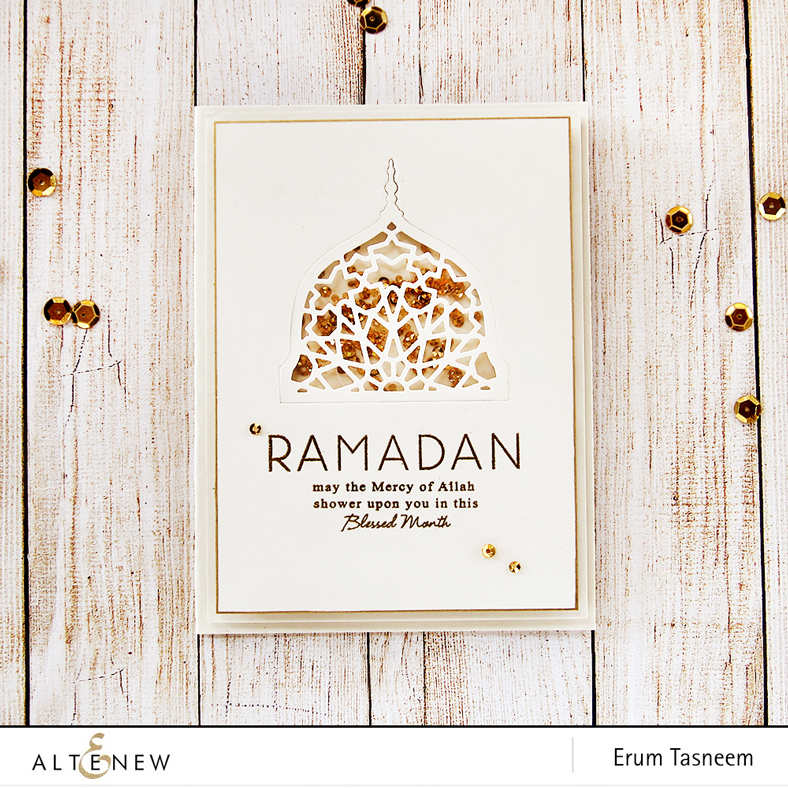 Ramadan is just around the corner and I thought this die was perfect for Ramadan/Eid cards. I kept the card really clean and simple, just added a bit of gold border with a marker. I made a shaker card and did a bit of inlaid diecutting. 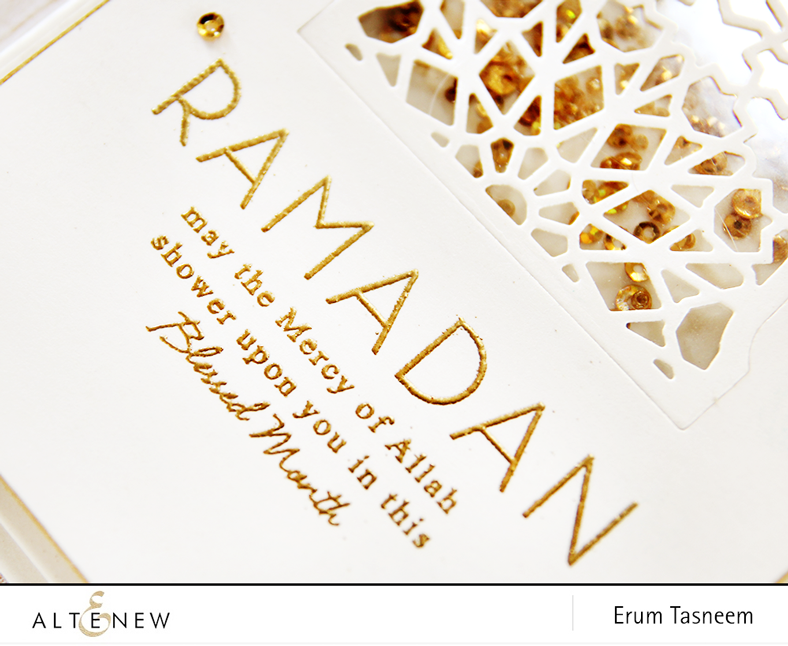 I used the sentiments from Ramadan Greeting Stamp Set. 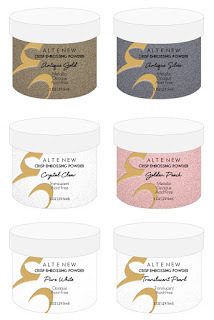 Heat embossed them in Antique Gold Crisp Embossing Powder. All the comments left here till June 1st will be entered for a random draw. The name of the winner will be announced on June2nd here. Hop on over to the amazing Keeway Tsao's blog! Today I am participating in a special event hosted by my awesome friend Maria Sabina, you may know her as Lollyrot. Here is a little word from Maria herself. 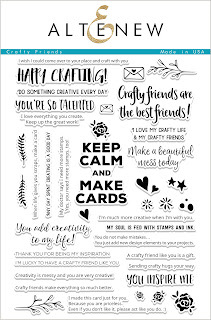 "The point of the ‘’Stamped around the world’’ is to bring a smile and to make people feel a bit special by writing a few positive words. Not only that the card is handmade and gets to travel to so many countries and to so many people, but a part of you will travel too. 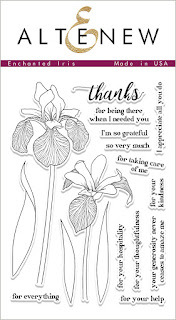 It is important to put technology aside and go back to the old days when words were really appreciated by writing a letter or a note. 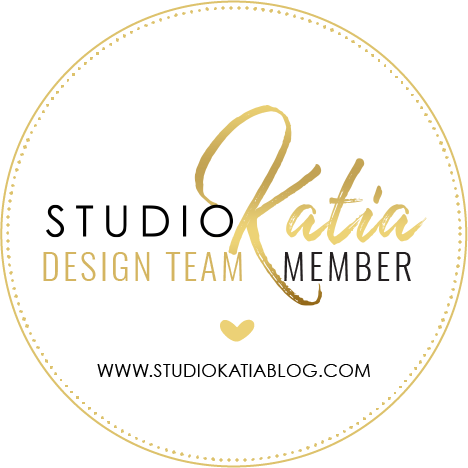 You can find all the details HERE"
A big thank you to Tonic Studios for sponsoring our hop. Please leave a comment on each stop on the hop for a chance to win a goody bag from Tonic Studios. I have added the complete hop list at the end of this post. Winner will be announced on May 27th over at Maria's blog Lollyrot Scrapbooking. 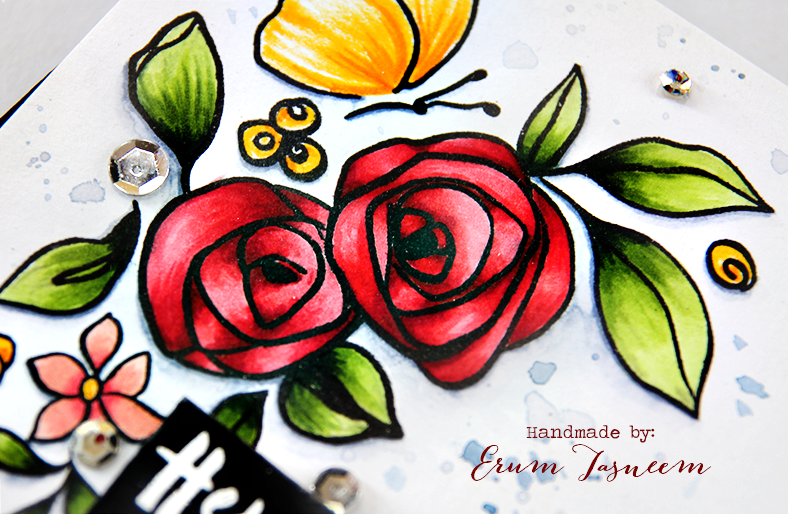 For my one layer card I used Altenew's Bamboo Roses stamp set. 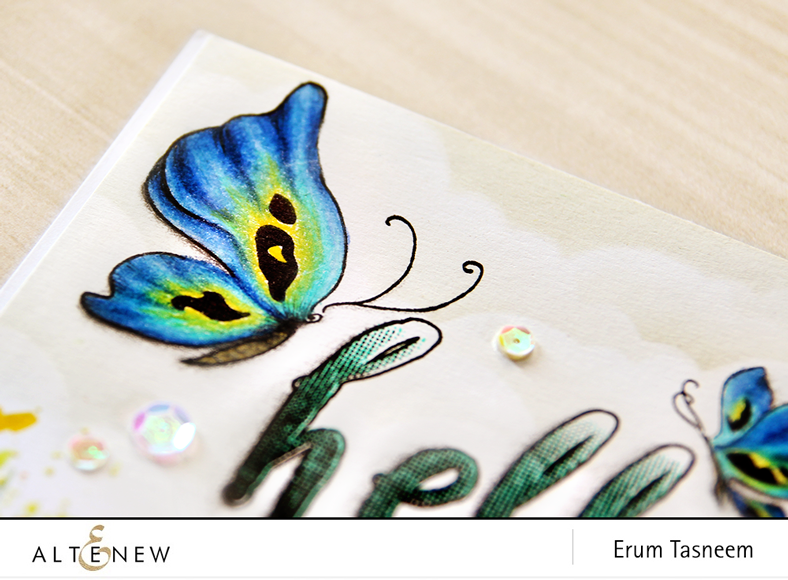 I coloured the stamps with Altenew Artist Markers and the butterfly was coloured with Crayola pip squeaks. 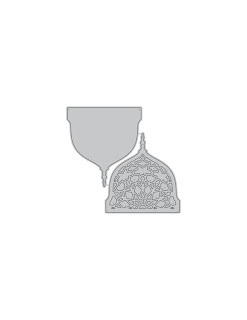 I heat embossed the sentiment in white. This is the only other dimensional thing apart from the sequins. Wanted to keep this as mail friendly as possible. Dont forget to leave a comment on every stop of the hop, it's a small list I know you can do it! Please come check it out and leave me a comment. 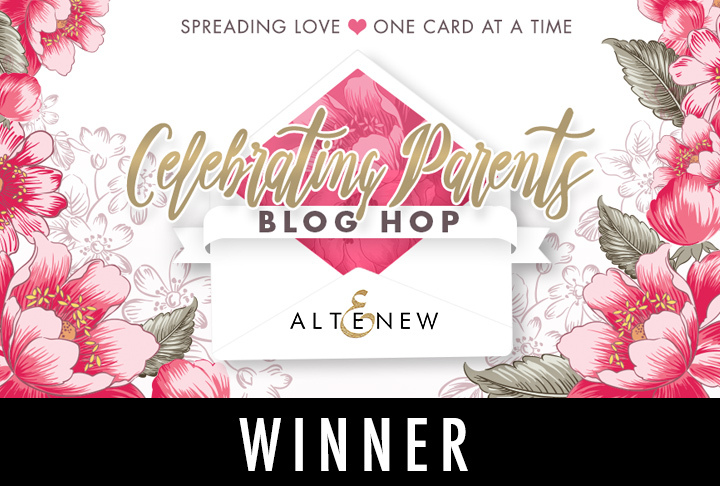 I am here to announce the winner from all the comments left on my blog post for the Celebrating Parents Blog Hop. Please get in touch with me via the contact form on the right hand side before 30/6/2017.